A Postcrossing post card from Andrea in Sao Paulo, Brazil. 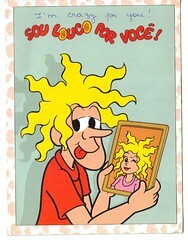 The card depicts Brazillian comic characters from “Turma da Monica” (Monica’s Gang). Thanks for the card, Andrea!